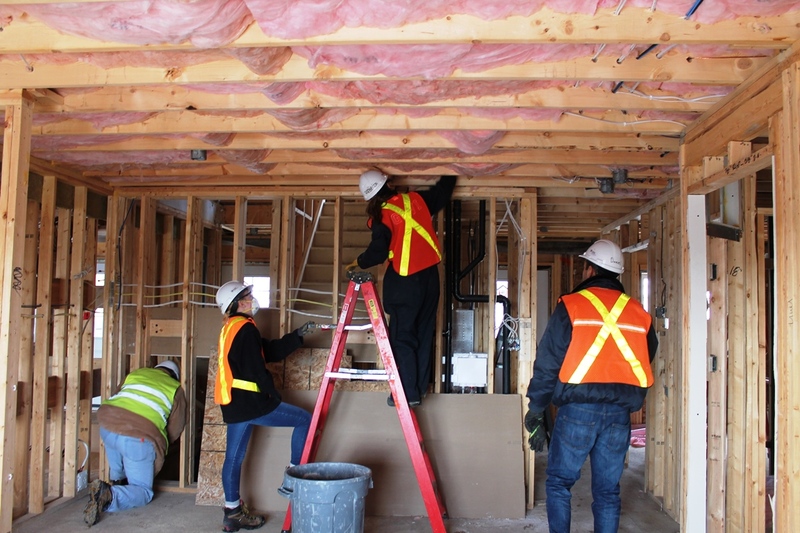 GUELPH, Ontario – From November 12 to 30, Upper Grand District School Board secondary schools were given the unique opportunity to participate in a Habitat for Humanity (HFH) home build project in Guelph. 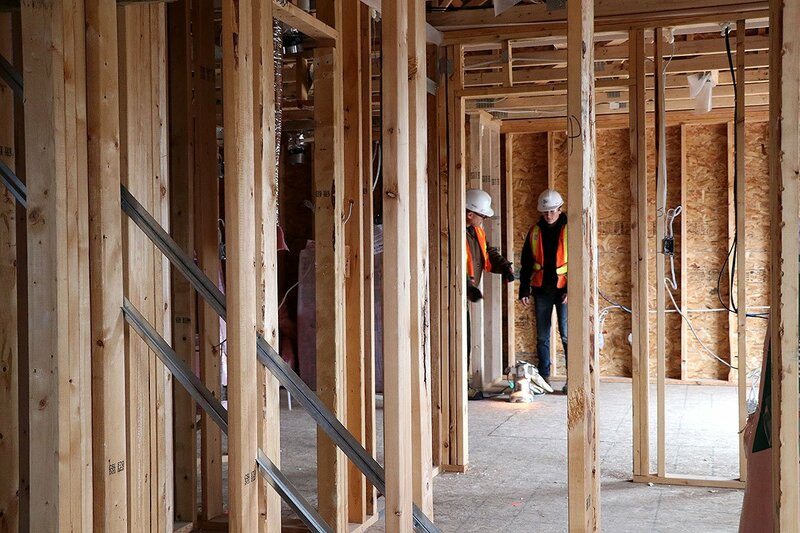 HFH in Guelph is currently involved with a home build project that involved the construction of an 8-unit and 12-unit condominium complex in the city. 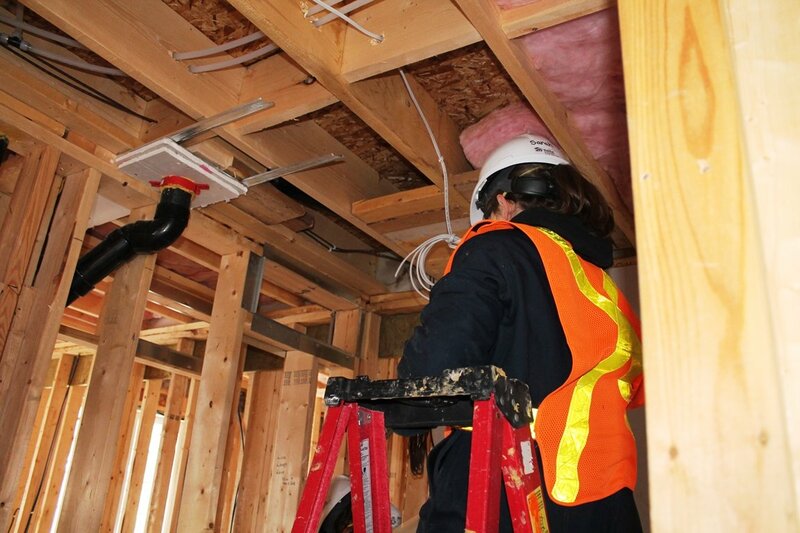 As is the nature of HFH home builds, this project required the involvement of several trades workers, sub-trades workers, contractors and volunteers. According to HFH Wellington Dufferin Guelph, they are “about more than just building safe affordable housing – they’re about building community.” It was with the help of the UGDSB community that the home build site continued to move forward while giving students a valuable and meaningful learning experience. 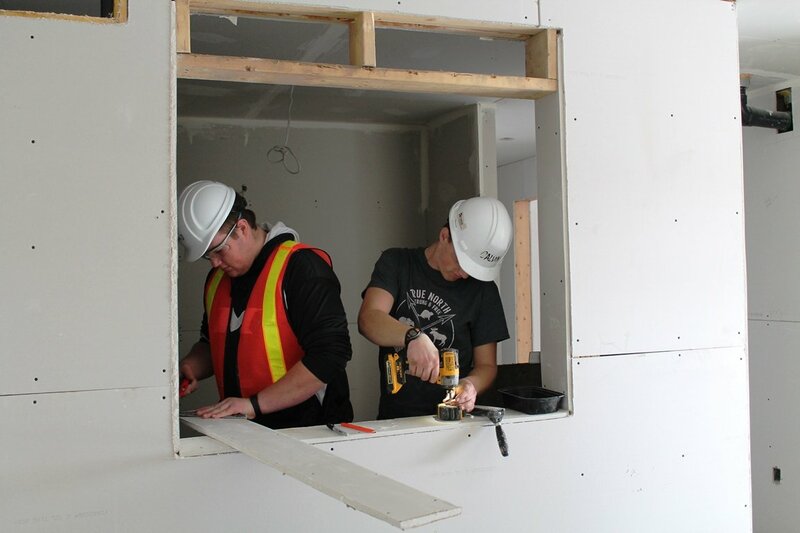 SHSM Construction students and the senior construction teachers from College Heights SS, Guelph CVI, John F. Ross CVI, Centre Dufferin DHS and Centennial CVI took 2 to 3 day shifts working at the build throughout the UGDSB volunteer period to work on various tasks at the build site. 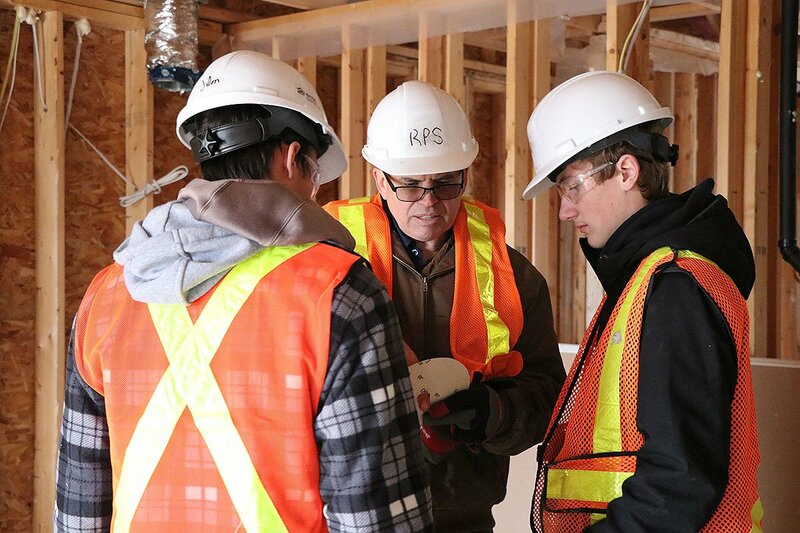 Students had the opportunity to advance their trades learning in this workplace setting by assisting with plumbing, carpentry, minor electrical, renovations and general labour. 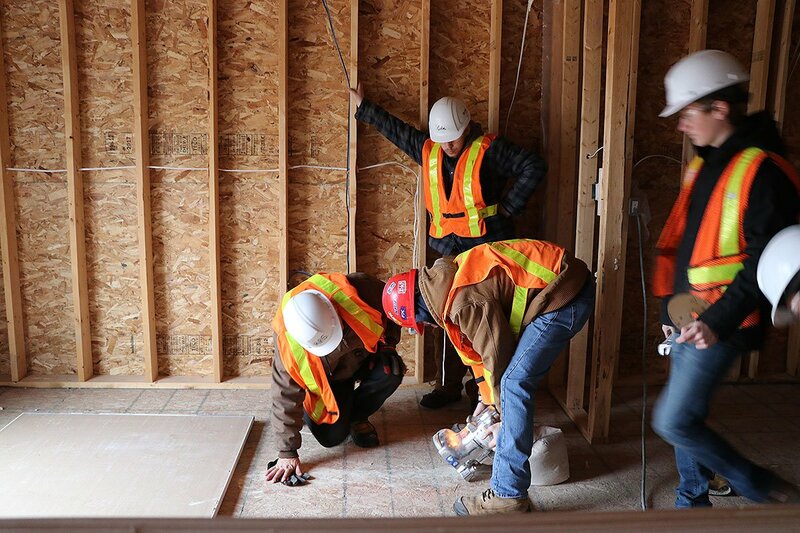 During their time on site, students were broken up into teams and each team worked on a different unit. 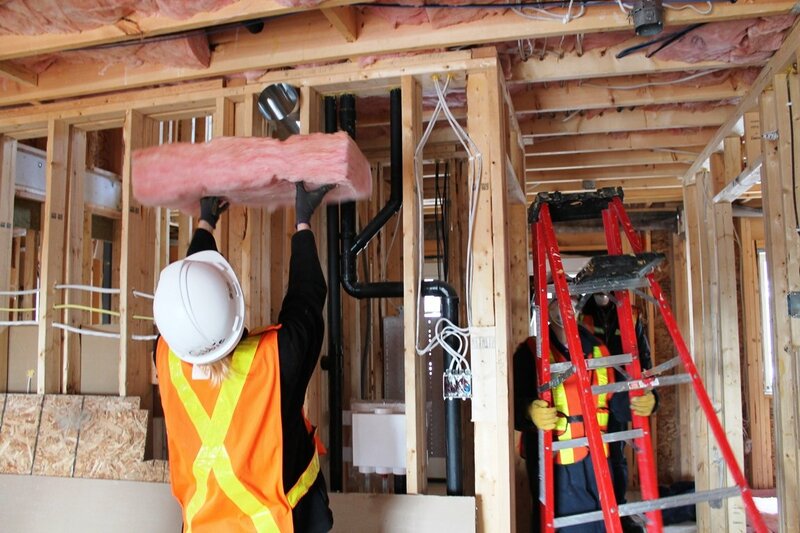 Students helped with insulation installing, dry walling and much more while on site.